Tim Purington, at a 2017 party marking his retirement from Tapestry Health. Public health leaders in western Massachusetts are mourning the death of advocate Tim Purington, who was best known for his role in protecting drug users from disease. Purington died of a brain tumor, two years after retiring from his long tenure at Tapestry Health. A resident of Holyoke, where he also served as a city councilor, Purington was a staunch advocate of needle exchange programs. He founded western Massachusetts' first needle exchange in Northampton in the 1990s. More recently, he pushed a similar program in Holyoke through a contentious political process. His Tapestry colleague Liz Whynott considers Purington her public health mentor. "He genuinely cared about what he did," Whynott said. "He wasn't afraid of controversy. And he was also just such a wonderful, nice human being." Holyoke Mayor Alex Morse ordered flags to fly at half staff in honor of Purington. "He believed that people in the throes of addiction deserve our compassion and care - that all of us are worthy of love and access to treatment," Morse wrote on his Facebook page. "Holyoke is a better, healthier, and more just city because of Tim's tireless efforts. And I am a better person and mayor because of his influence." 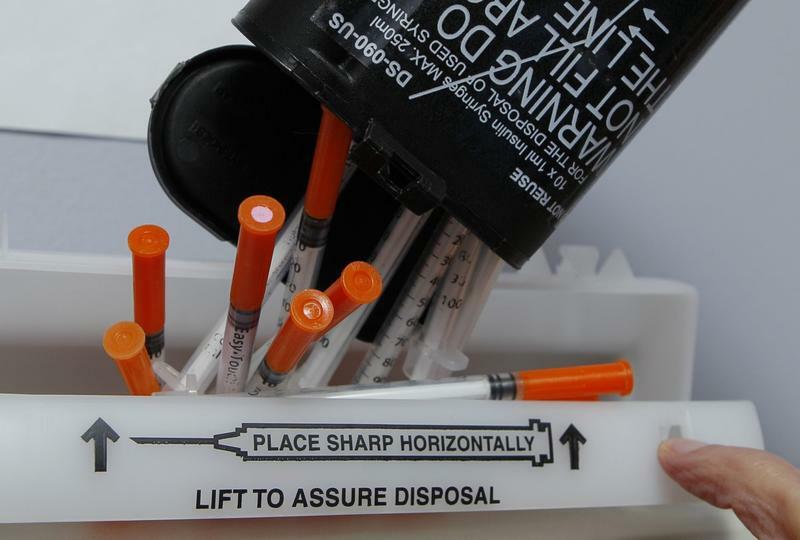 The Public Health Council in Springfield, Massachusetts, is set to vote February 28 on starting a needle exchange program. And for the first time in decades, advocates think it may well pass. Since the opioid crisis took off in the U.S., cities across the country have added more and more needle exchange programs, which allow people with addiction to turn in used syringes for new, clean ones. Most researchers say such programs are effective at reducing the spread of HIV and hepatitis C. However, some cities — including Charleston, West Virginia, where opioid use is pervasive — have moved to close their needle exchanges, citing problems with crime and mismanagement.